Teach children to stop making excuses and blaming others when they make mistakes. 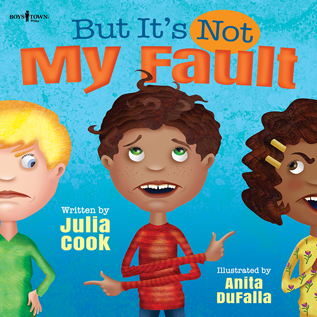 Elementary school kids will identify with Noodle as he makes one excuse after another for his behavior and choices that lead to unwanted consequences. It just isn’t his fault that his brother’s game ran late, and he didn’t finish his homework. Or that his mom forgot to remind him to turn in his library book. By learning to accept responsibility he finds instead how to use mistakes as opportunities for problem-solving and to turn negatives into positives. This is the first title in the Responsible Me! series which strengthens character development and helps kids use better social skills at school and at home.